My life changed drastically three months ago. After years of grinding my way through freelance writing assignments and radio shows, I finally latched on full-time as a multimedia sports reporter at the Orlando Sentinel newspaper. There, the grind carries on. I’ve been busy since the end of July on the high school and local sports beat at the Sentinel, which encompasses much more than you’d care to read about at this point. The exciting part has been the high school football coverage we’ve been doing for the 76 area programs (yes, 76 high school football teams) through print and online video features. The passing of former Oakland Raiders quarterback Ken Stabler at the age of 69 is likely to revive old debates over The Snake’s Pro Football Hall of Fame worthiness. There’s room for argument on both sides of the table. I mean, the Hall’s selection committee named Stabler a second-team member of its All-Decade Team of the 1970s, despite 24 interceptions thrown in 1975 and 30 in 1978. They were clearly impressed once upon a time. Stabler finished his 15-year NFL career (11 as a starter with three teams) in the shadows of contemporaries such as Terry Bradshaw, Roger Staubach, Bob Griese and Fran Tarkenton, each immortalized in Canton, Ohio. But what about Kenny? He led Oakland to a 69-26-1 regular season record in the 1970s and finished with 96 wins in all after wrapping up a career with the Houston Oilers and lowly New Orleans Saints. ORLANDO, Fla. – Bernard Morris is evolving into a throwback for the Arena Football League’s Orlando Predators. In a league that once placed value on “Ironman” football – players who excelled offensively and defensively – the Jones High School product is willing to line up anywhere on the field. The starting quarterback in Orlando last season, Morris won’t be behind center Saturday when the Predators (3-2) host the Cleveland Gladiators (3-2) at Amway Center at 7 p.m. The Preds lost 56-46 at Cleveland in the American Conference title game in August, the outcome ultimately decided when Morris fumbled for the second time as Orlando trailed by nine points with nearly a minute left. It was his third-straight conference final loss after spending the previous two seasons with the Jacksonville Sharks. Morris will contribute in different ways in the rematch as former Tampa Bay Storm quarterback Randy Hippeard gets the starting nod again for the sixth time this season. 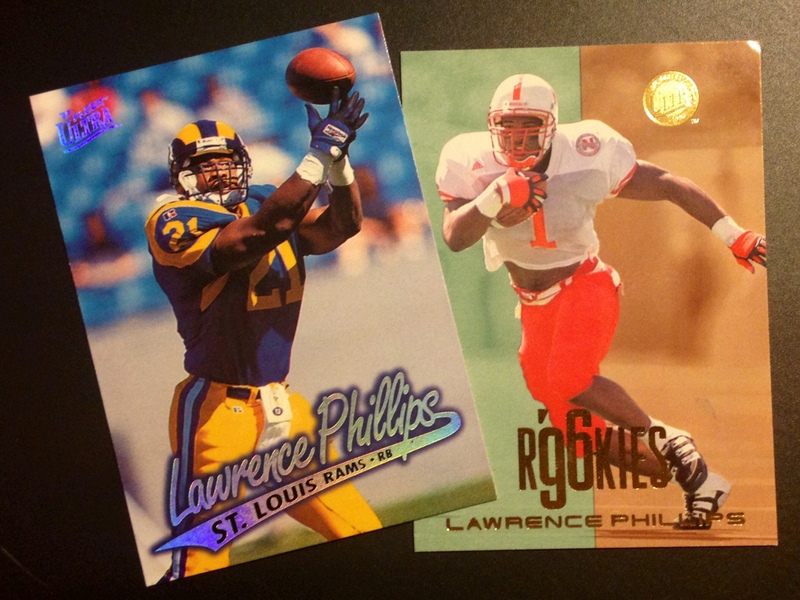 Take a quick glance back at the life of Lawrence Phillips and it’s not hard to imagine how he ended up residing in a California prison. If it was uncontrollable rage that drove Phillips to succeed on the football field, it was fueled by an unsettling mixture of abuse, neglect and a lack of trust in others during his formative years. When news broke this week accusing the former University of Nebraska, National Football League, NFL Europe, and Canadian Football League running back of murdering a cellmate, you’d have been hard-pressed to find anyone surprised at such allegations. His rap sheet speaks for itself. Brandon Helwig of UCF Sports joined me Saturday to talk about the rising draft stock of former UCF wide receiver Breshad Perriman, the holes UCF is looking to fill this spring in the secondary and at wide receiver, and the current state of the No. 6 UCF baseball program. Helwig rounded up the segment by talking about the upcoming UCF Athletics Hall of Fame induction of former football player Asante Samuel, football and baseball player Dee Brown, softball player Stephanie Best and the 1978 UCF volleyball team. I was introduced to Redhook Long Hammer IPA at a Daytona Cubs minor league baseball game several years back, and I’ve been hooked ever since. Pun intended. Long Hammer is by far the favorite of the four Redhook styles I’ve tried. It’s much smoother than the typical IPA and a perfect pairing for spring-time baseball in Florida. 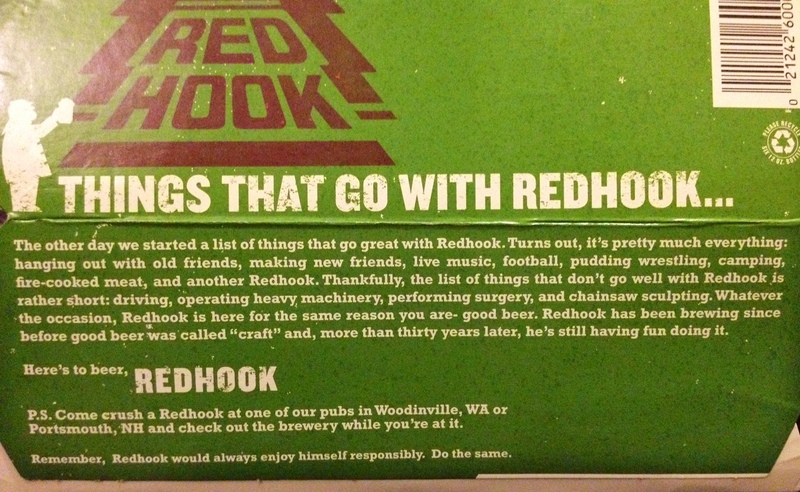 It also goes quite well with other things in life, but not all, as explained at the bottom of a sixer I sipped through. On Saturday I was joined by Austin Lyon of Bright House Sports Network to talk about college football’s upcoming National Signing Day on Wednesday. Lyon provided a preview of what to expect from BHSN’s coverage while also touching on what the future may hold for National Signing Day as more and more student-athletes opt to become early enrollees at their colleges of choice. He broke down the schools being considered by offensive lineman Martez Ivey of Apopka High School, the top college football prospect in Central Florida, and what schools running back Dexter Williams and athlete Jalen Julius are each considering. Both Williams and Julius finished their prep careers at West Orange High School in Winter Garden. Lyon wrapped up the segment by talking about the recruiting classes of college programs throughout the state of Florida and gave a short preview of BHSN’s upcoming coverage of the boys and girls basketball postseason.